So I grabbed it. Let me tell you now - Hunger Games is worth all the hype! The concept of districts in North America rebuilding themselves from the revolution but set in a more sci-fi direction was intriguing. Separated into 12 districts and the Capitol, America is not what it seems. 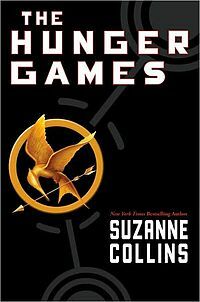 Book 1 starts to explain where we are and how the Hunger Games have come to fruition. Of course, it comes quickly to the action of Katniss and how she has been “selected” to represent District 12. Lives are impacted drastically, as Katniss is stripped from her family. She no stranger to hardship and fighting for her life. Collins manages to quickly wrap you into her characters emotionally. From less than half way through book 1, you are so emotionally vested, I felt like I was on the train and in the capitol. Collins kept the descriptions real, crisp, I could picture it but not overly descriptive where I wanted to skim. Peeta and Katniss tackle the Games head on. Katniss is amazing. The character dimensions are so deep. On to the bond Katniss and Peeta form, as much as Kat has been through, when it comes to Peeta she assumes the worst. She’s so intuitive to survive and I just wanted her to fall in love. Trust me , I’m not at all disappointed at Book 1, it caught me offguard as I was expecting one thing to come to another. Could Peeta be the ying to her yang? The Games … wow, you get the craziness of the entire concept, and with it comes the brutality of what is set to occur. It’s a fight for only 1 to survive. Thank goodness I could roll immediately into book 2. Collins just dug into my heart as she ended book 1 – my heart ached. Book 2 (Catching Fire) is packed. We’re back from the Games, we’re touring and we’re thrown, spinning in the crazy web of the Capitol. Bonds have been formed, everything is on the table to be broken. Collins delivers intense emotion and action. The train, it gets me every time. Again, we’re invested in these characters. The losses we’ve had, having us together again. Collins brings in new characters and tosses up the dynamic. Once again, Peeta rocks an interview. I don’t want to spoil anything about these books. What I can say is the shake up is insane! Collins in her cliffhanger end, takes it away with this one. I now know why people were so insane to get Mockingjay. If I thought Book 2 had so much going on, book 3 tosses so much more into this series. Collins has to take you full circle and conclude the series. I would not have imagined she could do it so well in this 1 book. I felt it was a little rushed toward the end, but I was so pleased with the outcome I could overlook it. Although there is no true “game” in this book, there is still heart-wrenching war and destruction. Katniss has to come to terms with herself and her role in this mess while figuring out who to trust. Collins did a remarkable job. Overall I give this series a 6 – I did not put it down, nor has any of my friends who read it since. Well played, the romance is sweet and the Games are brutal. On a movie note, I thought the casting is just as I pictured. Well done and I’m anxiously awaiting the next movies. I hope they keep as close to the book as the first did. On a “Battle Royale” note, I have this on my TBR pile, I heard of it after I read the series. The book holds a similar story line but with out the romance from what I hear and the continuation as we have in Mockingjay. I don’t think Collins “stole” the story, and I hope that Battle Royale is a great read as well. There are many books out there where there is a similar note, and if one does better than another and brings them both to light, that’s cool. The more there is to read the better. Just want our blog readers to know, I’m not in the blind about the book and will read it as well. I'm so glad you read the Hunger Games trilogy! And I'm excited that you're reading Battle Royale! 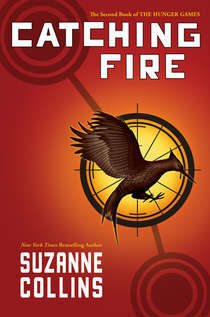 I read BR several years before Hunger Games came out, and while they have similar themes, they are much different books from two very different authors. Both books are favorites of mine, but I don't feel the need to compare them. i'm so glad to hear that - so many people are comparing them and i'm glad to hear from someone that read and liked both.